Finally, the new parliament. Egypt can now confidently claim her feet are firm on the path of democracy and a civil, secular State. With the new House of Representatives elected earlier this month, Egyptians have achieved the last step on their Roadmap to democracy, the map drawn in July 2013 by representatives of all sectors of the Egyptian community. Back then, Egypt had succeeded in ridding herself of the Islamist Muslim Brotherhood (MB) regime that came to power on the wings of the Arab Spring uprising in January 2011. The Roadmap included three major steps: a new Constitution which was overwhelmingly approved in January 2014, a secular president—Abdel-Fattah al-Sisi—who was elected in a landslide vote in June 2014, and a new parliament, which was finally elected over two phases that extended from the last week of October to the first week of December 2015. 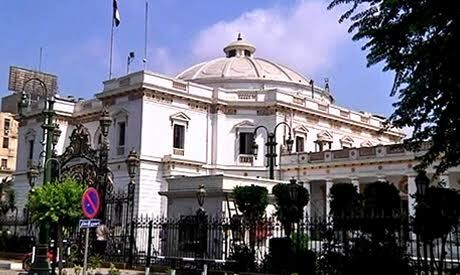 Egypt’s new House of Representatives is unicameral, with 568 elected members. Among these, 448 are elected on an individual basis and 120 through closed lists formed of party alliances and individuals. The 2015 parliament lists included quotas for women, Christians, the disabled, and youth. The quotas, according to the Constitution, represent one-time affirmative action that will not recur in future parliaments. Egypt is geographically divided into four districts in which ‘lists’ may contest the elections: Giza and Upper Egypt, East Delta, West Delta, and Cairo and South and Central Delta. The president may also appoint a further five per cent of the total number of elected lawmakers. The individual candidates are independent and have various political leanings, many of them come from different political parties but have run as individuals. The Fi Hub Masr (For the Love of Egypt) list won a majority 120 seats, and the liberal al-Misriyeen al-Ahrar (The Free Egyptians) party came out first among the parties with 65 seats, with the young-dominated Mustaqbal Watan (Future of the Homeland) close on its heels with 50 seats. The turnout of 28.3 per cent was criticised by many as too low, but many others insisted it was higher than the usual turnout for parliamentary elections in Egypt. The only time Egyptians went out in large numbers to vote was for the post-Arab Spring parliament in 2012 when the Islamists and seculars locked in a political confrontation that was then a battle for survival by each camp. The Islamists won, but one year of Islamist MB rule was enough to open the eyes of Egyptians to Islamism; the result was the massive 30 June 2013 Revolution that led to the overthrow of the Islamists and the establishment of a secular State. Political analyst Soliman Shafiq echoes the observations of independent election monitors when he says that the elections involved no major violations, no vote rigging, no security interference, and no sectarianism. Churches and mosques were not used to influence voters, nor were political slogans used, in compliance with the law. Even ‘political money’, the term used to denote the money used to bribe voters or in any way influence the voting process, made no indent in the results. The State, Mr Shafiq says, was absolutely impartial and stood on equal footing from all contestants. Perhaps the most conspicuous features in Egypt’s new parliament are the resounding failure of the Islamist current, represented by the Salafi al-Nour Party, and the unprecedented success of Copts. Despite the initial jubilation, though, the fine print holds a plethora of detail to be considered before pronouncing it an unalloyed victory for secular liberalism. Copts won 36 seats representing 6 per cent of the parliament. Twelve won as independents and 24 were on the lists of the four winning coalitions of parties and political movements. This is the first time in the history of Egyptian parliament that Copts manage to independently win 12 seats. In general, minorities and the marginalised achieved results worthy of applause. Women won 73 seats, representing 12 per cent of the total seats, double those won by Copts. Seventeen won as independents, and 56 won on coalition lists. Youth—the term is used to denote candidates younger than 35—won 80 seats, representing 14 per cent of parliament. Analysts appear unanimous that the 36 seats won by Copts are a victory indeed, but only a start that needs to be followed up in future elections. “The Coptic victory is the beginning of the downfall of sectarianism,” Hany Labib, a researcher and expert on citizenship issues, told Watani. “It is the first such win since the 1952 Revolution against the monarchy and the establishment of the Egyptian republic in 1953. It indicates that the 30 June 2013 Revolution has worked, or was the outcome of, a profound change in the political awareness of Egyptians. Copts became a substantial voting bloc that cannot be disregarded. Even more important, this voting bloc is totally independent and, in the recent elections, has not fallen under the influence of either the Church or political money.” In several constituencies with a Coptic majority, he said, the Copts favoured Muslim candidates over Coptic ones, based on who they saw as the better man or woman. The law bans political parties based on religion, so the Salafi al-Nour Party got around that by adding Copts to its list, and steering clear of religious slogans. But this worked to alienate its supporters; Copts have always been infidels, a no-no for Salafis, and religion has always been the Salafi raison d’être and its greatest weapon in electioneering. Al-Nour’s political manoeuvring did not work well in its favour. The Salafi Call was, prior to the Arab Spring uprising, averse to assuming any role in politics as a calling that went contrary to their religious beliefs. When the MB began their rise to power in the wake of the Arab Spring, the Salafis supported them and formed al-Nour party to be able to venture into the political arena. When the MB fell in 2013, they forsook the MB and joined the Egyptian seculars led by the then army general Sisi. When the law banned religious parties, they changed colours and added Copts to their ranks. All this did not sit well with staunch Salafis, and al-Nour’s attempt at compromise cost it its credibility and a substantial portion of its traditional supporters. The researcher in Islamic movements Ahmed Ban sums it all up when he says that al-Nour’s dismal election result was inevitable; it was the natural outcome of mixing religious activity with politics. “Such movements will have to make up their minds about which of them to follow. They simply can’t have both.” For their part, the leading figures in al-Nour went so far as to explicitly threaten that with the party having no significant part in running the country, Egypt ran the risk of rising Daesh support and activity among the Islamists. No matter the Islamist threats, the political analyses, opinions, or observations, Egyptians have for the second time in two years resoundingly voted against Islamism. The first vote was of course through their more-than-30-million-strong revolution on 30 June 2013. Today they have confirmed the vote.